Jamaica isn’t widely known for its independent travel opportunities. Most people visit via cruise ship or hunker down in an all-inclusive resort. However, making your own way around the Caribbean Island is not as difficult or scary as it may sound, as long as you go prepared. For the extra effort, you’ll be rewarded with fun cultural experiences and exquisite adventures in nature. Here are five things you need to know before deciding if a Jamaica road trip is right for you. Driving and road conditions vary around the Island. 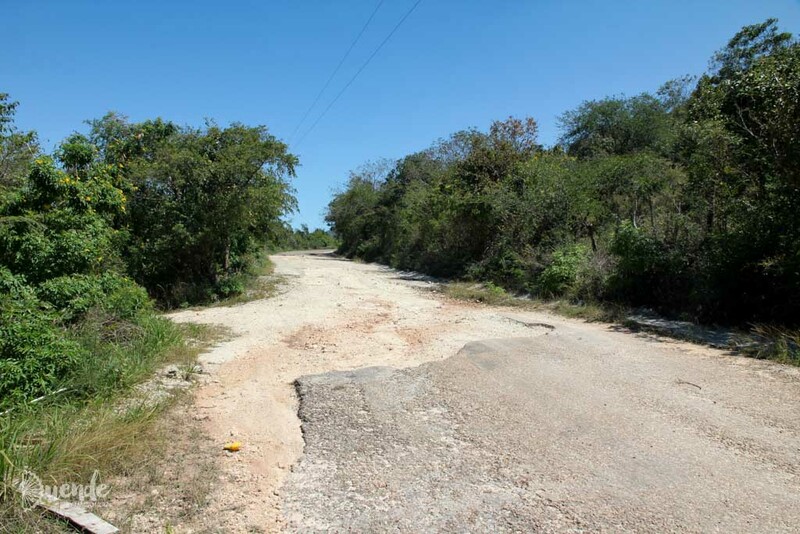 Along the north coast between Montego Bay and Ocho Rios, we found roads to be well maintained due to the tourist trade. In the southwest and traversing the Blue Mountains, roads weren’t so friendly. Potholes big enough to swallow a small vehicle and lack of street signage were two of the greatest challenges. Also, local drivers range from over zealous, to really “chilled” – if you catch my drift. Know how to change a tyre yourself and if your car rental company offers reasonably priced tyre replacement insurance, take it! Lastly, plan to only travel during daylight hours. Even if you buy a local SIM card, service may be too patchy in some places to be relied upon. Follow these instructions to download Google Maps of Jamaica to be accessed offline. Do your research in advance and plot a preferred route but note that you may need to change on the fly if road conditions are altered. We encountered a landslide that had blocked the main route across the Blue Mountains. This caused no end of confusion and a couple of exploratory detours, before a local kindly informed us that a private road through a coffee plantation was the best alternate route. Do your research and note which places to avoid. Stick to main roads in urban areas. There are police blockades on roads in and out of places such as Montego Bay, due to heightened crime. Take locals’ advice if they tell you not to go somewhere. The most apprehensive moment we had on the trip was when we hit a huge pothole an hour outside of Kingston and it completely ripped through one of our tyres. We were in a town we knew nothing about. Thankfully some inquisitive locals came to ask us if we were ok and needed help and left us alone when we politely declined. Furthermore, don’t make yourself a target for the usual hustlers and opportunists that you find in any big tourist destination. Dress down, minimise the valuables you are carrying and don’t go flashing them around. Make use of your hotel safe to keep your valuables and travel documents such as your passport. Tap water in most urban areas is safe for drinking. We drank tap water in Negril, Treasure Island, Kingston and Ocho Rios. If you aren’t sure, ask at your hotel, use your Steripen or go for bottled water. Being that independent travellers are in the minority of visitors to Jamaica, you won’t find every place is set up for your kind of travel. The north coast around Ocho Rios caters mostly towards day-trippers from cruise ships and all-inclusive resorts. The number of good independent eating establishments and quality accommodation is very limited and may close when there isn’t a cruise ship in dock (which is exactly when you DO want to be there). Negril, Treasure Beach, Kingston and I believe Port Antonio (unfortunately we didn’t make it there) are the places that have more boutique accommodation, independent restaurants and are where you can find a more local vibe. Rent a car for your Jamaica road trip with National Car Rental. If you’re still reading this undeterred, then here is a playist to accompany your Jamaica road trip. From ska through rocksteady, reggae and dancefloor, this playlist will have you covered for your journey throughout the Caribbean island. Get to know Jamaican music beyond Bob Marley and Shaggy, with these tunes. You may also find this packing list helpful, along with these foods to try and top things to do along the way. Please drop me a comment with any questions you have. Looks as if you enjoyed our island! Good advice given. Please come again! I live in Jamaica and blog about our road trips and eating healthy while doing it. Thanks Kelly – we really enjoyed our time in Jamaica and would love to return! Thanks Sly! Safe and happy travels in Jamaica.